Companion Animal Hospital of Spring Cove is proud to offer veterinary services for dogs, cats, and exotics in the Central Pennsylvania area. We are excited to announce that we have moved our facilities. We hope the new hospital will make your visits more comfortable! We have moved! 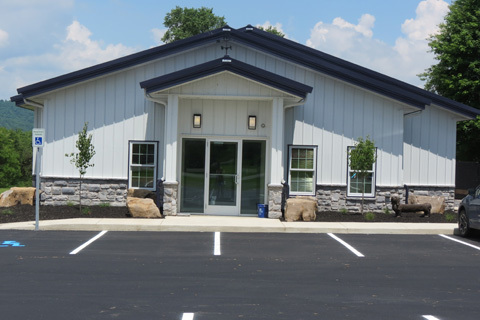 Companion Animal Hospital is now located at 1065 East Main Street. To find us from our old location, head to the light at McDonalds on Route 36. At the light, turn right onto East Main Street/Pa 164 toward Martinsburg. We are on the left side of the road just ¼ mile past the intersection. The building is white with a dark blue roof. If you pass Frederick’s Meat Market, you’ve just passed us. Hope to see you soon!